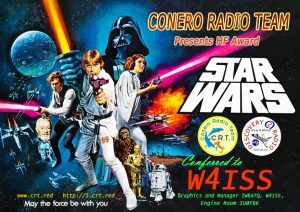 The first film of Star Wars (STAR ​​WARS) filled the cinemas from May 25, 1977. It is a science fiction colossal created by George Lucas, which develops from a film franchise begun in 1977 with the film Star Wars and retroactively subtitled Episode IV – A New Hope. This film was followed by two other films, distributed three years apart: The Empire Strikes Back (1980) and The Return of the Jedi (1983). These three films make up the so-called “original trilogy”. Sixteen years after the release of the last film, Lucas decided to shoot a prequel trilogy, composed of The Phantom Menace (1999), The Attack of the Clones (2002) and The Revenge of the Sith (2005). In 2012 The Walt Disney Company purchased the rights to the series and started production of a sequel trilogy, which began with The Awakening of the Force (2015) and continued with The Last Jedi (2017). REGULATION: In a far distant galaxy .. In the three days it will be necessary to score 5 points by connecting the activators as much as possible, only one connection per band is valid every day. The diploma provides the hunters ranking which will then be published with a link on this page. 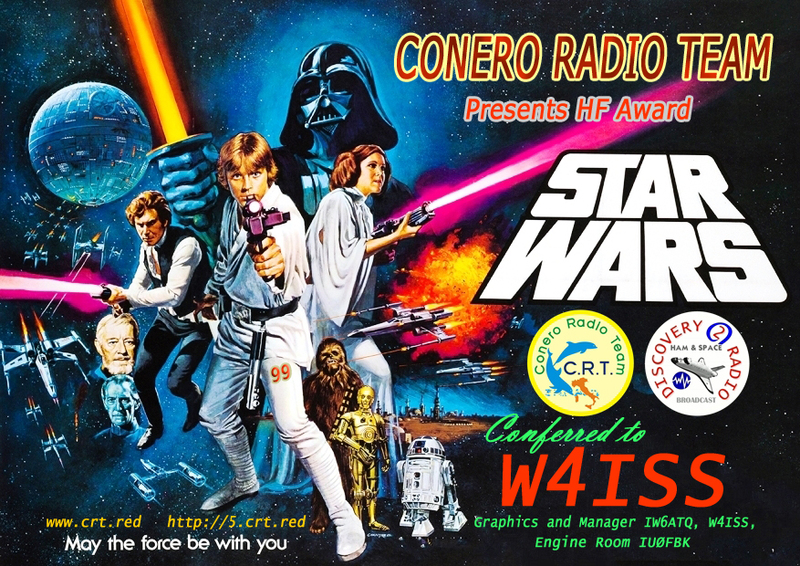 An EQSL is also provided, which Marco IU0FBK will send to all participants on Tuesday 29 May, the day in which the ranking will also be published. To FAN CLUB MEMBERS will send a personalized gadget in PNG. Follow us in the cluster….